Here at scrub me™ we love plant-based ingredients that really do their work to transform the complexion. With the help of healing flowers, raw clays, plant-based antioxidants, seed oils, & more we can create all-natural, chemical free products that make a difference for our skin. We decided to pick out a few of our all-time favorite ingredients from the earth and describe what we love about them. When you love skin care as much as we do it’s hard to narrow down the list! We are currently captivated by these ingredients and you’ll find them popping up in some of our scrub me™ products. scrub me secret: our company’s motto is “everything you need and nothing you don’t”. we say this because every ingredient that we choose for our skin care items has a purpose. each essential oil, seed oil, raw material, etc. is chosen to treat a specific skin type or problem. scrub me secret: activated charcoal does its best work when paired with facial steam or a warm/hot towel laid over the mask or spot treatment. this will help the charcoal absorb as many impurities as possible, more so than without the steam or hot towel activation. This non-pore-clogging oil absorbs easily into skin and delivers a healthy dose of nutrients. With nutrients and vitamins like A and E this oil can strengthen skin and even out texture. By delivering these vitamins to the skin cells, the barrier can be restored and skin can be balanced. When our skin’s barrier is unhealthy or unbalanced it can cause dryness, irritation, and uneven texture. No one wants that! Sweet almond oils can be massaged into face or body; we suggest doing so after cleansing. scrub me secret: you can find sweet almond oil in all of our sea salt body scrubs. we think it is really important to give your skin some amazing nourishment while you exfoliate without making you feel overly oily or like your scrub wasn’t gritty enough. Multi-active: oil clearing and healing. Bentonite clay is one of our favorite clays. Yes, we do love our Brazilian clays and sea clay but this clay has some extra special properties. When this clay is mixed with water, an electrical charge happens that causes that clay to be able to pull and absorb toxins from the skin and body. Unlike other materials that absorb oils and remove toxins, this clay is fairly gentle on skin and even helps reduce some inflammation. Oily and acneic skin will feel cleaner, less inflamed, and smoother texture after use. scrub me secret: this clay mixed with water is great for giving yourself a full body detox treatment. mix the clay with water until you get a thick paste and apply it as a mask to your entire body, excluding palms and hands and soles of feet. let the clay dry and harden a little before you hop in the tub or shower to rinse away. great for any skin type! These dried flower petals are truly a miracle worker. With anti-bacterial, anti-fungal, and wound-healing properties, it’s a great ingredient for healing blemishes, scarring, and super sensitive skin. Skin has been shown to heal at a much faster rate when calendula-infused products are used. scrub me secret: we infuse our coconut oil in our lemongrass shea butter with calendula flowers. this adds extra healing benefits to our shea butters that already help restore our complexion. Carrot seed essential oil is one of our favorites because of its extra skin loving and anti-aging properties. The funny thing is that this is one of the essential oils that does not smell amazing; some people have even gone as far to say “It stinks!” Honestly, if it’s giving our skin amazing youthful looking results we don’t really worry about its scent. This essential oil contains antioxidants and vitamins like C and E. These vitamins work so well together to keep skin’s collagen and elastin healthy while giving you a bright, radiant glow. 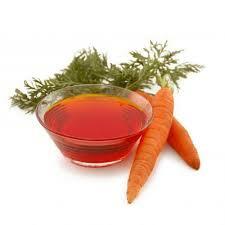 When added to a facial or body oil carrot seed can help fight lines, wrinkles, and uneven texture. scrub me secret: Carrot seed is amazing for keeping our facial skin youthful. We include this ingredient in our nourishing oil serum. If you have a different facial oil at home that you absolutely love you can add a few drops of carrot seed essential oil to that and say hello to extra anti-aging benefits! We were initially drawn to crushed grape seed because of its fine, granular texture. The grape seed “grains” are so small that you can exfoliate even the most delicate skin without damaging it. This ingredient is also chock-full of antioxidants that help fight wrinkles, sagging, and other signs of aging. Exfoliation with an antioxidant-packed ingredient really sets our skin up for success. Oxygen and blood flow are stimulated by the exfoliation and dead skin cells are removed, which will have skin feeling softer and glowing. Add in tons of antioxidants to repair and restore skin and we’ve got a real plant-based powerhouse here! scrub me secret: some exfoliants like salts and larger crushed seeds or nut shells can be too harsh of an exfoliant for delicate facial skin. for the face, we want a really fine grain that has rounded or soft edges instead of jagged edges like salt or seeds may have. Turmeric tea, turmeric lattes, turmeric soap, turmeric masks, we could go on forever! This ingredient is one on our list that can give your skin results when ingested or used topically. Packed with lots of different vitamins and nutrients, some drink turmeric in a tea to calm inflammation, regulate digestive issues, and heal the body. Externally, this spice can be used as a mask for face and body or added to other skin care items to give healing, strengthening, and brightening effects. Inflammation is the source of many dietary and esthetic issues and turmeric helps to alleviate a lot of this. Look for this ingredient in our new seasonal fall soap. What an impressive group of ingredients! One of our missions at scrub me™ is to help educate our community and clients about EVERYTHING skin care related. Ingredient knowledge is so important. The more you know about what is on the ingredient label, the better choices you can make for yourself. It’s exciting for us to learn as much as we can so we can pass it on! scrub me secret: want to put your ingredient knowledge to the test? Look for a super fun quiz coming to the blog later this month!